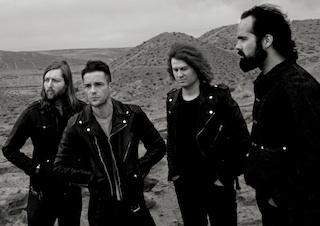 The Killers drummer Ronnie Vannucci has announced they will be going on hiatus just weeks after speculation about the band's future surfaced after bassist Mark Stoermer's chose to sit out the group's Asian tour. You can read what Ronnie had to say below. "I don't think it will take an unnaturally long time for us to get guys together, but it's time to take a breather and ground out a little bit... I think everybody is looking forward to putting their feet up for a little while and having some normalcy. I think some of the guys are just going to chill out, keep writing probably, make sure to get some rest."